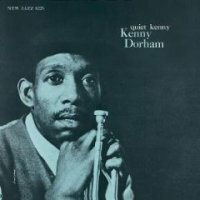 Description: In the liner notes of Quiet Kenny, former Downbeat magazine publisher Jack Maher states that trumpeter Kenny Dorham's music is not necessarily the demure, balladic, rapturous jazz one might associate as romantic or tranquil. Cool and understated might be better watchwords for what the ultra-melodic Dorham achieves on this undeniably well crafted set of standards and originals that is close to containing his best work overall during a far too brief career. Recorded November 13, 1959 in New York. Originally released by Prestige (New Jazz). This is an Original Jazz Classics reissue vinyl LP, released on February 17, 2009.